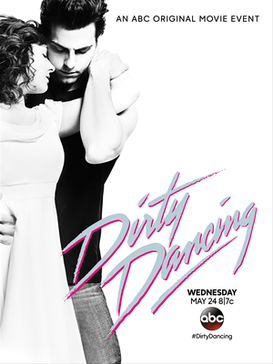 Anyone else see all these commercials for the new Dirty Dancing coming up in a few weeks? First of all, I think its strange how everything is being remade - like there are no new ideas in the world so we have to remake classic shows & movies with new characters - but keep the same plot & story line. ... I lasted 5 minutes & turned it off. Blasphemy. & I'm not sure if I feel like this new Dirty Dancing is stomping on toes either. Because it looks like its going to be kinda good. Maybe because I love the story. Throw in dancing in basically any movie & I'm there, with bells on, ready to fall in love with the movie. Life just needs random dancing scenes & everyone in a crowd knowing the choreography of how the main person is feeling. It just needs to be a real life thing. The original came out when I was in high school. 1988. The time of life when you are the nerdy girl & you want the cool, bad boy to fall in love with you. & plus, there was Cynthia Rhodes, with legs for days - & I remember she was married to Richard Marx - one of the singers of the 80's / 90's with great hair. I just thought she was so beautiful to watch. I think Nicole Scherzinger is taking her role in the new one... which she's a Louisville girl so I already appreciate her in that part. I was so enchanted with this movie... & this was before Beauty & the Beast came out & Baby's dad was going to graduate to one of my favorite people in the world - Lumiere!!! I'm not even joking when I say, I had the soundtrack on an ALBUM growing up. I bet I still have it somewhere. & lest you dont remember these days of long ago - there was actually the original soundtrack & then they added another one that came out later "More Dirty Dancing"... I had them both. & I played them all the time. I even went & saw Dirty Dancing in Concert. Yes - this was a thing. The original dancers from the movie went around & danced on stage to some of the songs. I sat in the 2nd row. I still remember every thing about it. Eric Carmen was there singing his song "Hungry Eyes"... & they had other people there singing the big song "Time of My Life"... & of course, dancers with the big lift happened. & it felt like you were watching Johnny & Baby in real life. Of course, being 16 years old, I tended to be dramatic anyways, so I totally got into this concert & convincing myself I was back Kellerman's Resort.... carrying a watermelon. It was a great concert. If you didnt live back in those days, when all this came out, it was a big deal. Like people were SHOCKED by it. Dirty Dancing was soooo.... DIRTY. Funny to think that now, isn't it? In a world where twerking is a thing & when people dance, you sometimes have to avert your eyes because of how on top of each other they can get. Times, they are a changing. But for me, with this new one, I'm just anxious to see how the role of Baby & Johnny get played out. Jennifer Grey will always be Baby. Always. She even got a nose job to try & get away from being Baby. Nope, still doesnt work. She's Baby ... forever more. 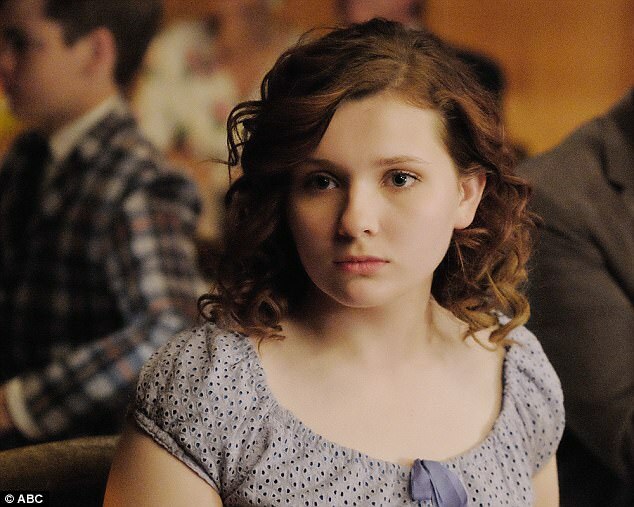 For some reason, I dont mind that Abigail Breslin is going to be the new Baby. I think I just love her because she's loved dance since her younger days... anyone else ever see Little Miss Sunshine? & then Johnny Castle. That is just Patrick Swazye. The one & only. The guy who was a rough looking, tough guy - but who could dance. The guy in the leather jacket that could do the mambo. The guy who had slicked back hair & everyone looked up to, who wanted to plan a big dance for the year end of a season. I cant imagine how he's going to do it. Good for him for attempting it. Even if he's great in this role. If he nails everything else. He'll still never be Patrick Swayze. But I'll be watching & reliving the days of being a teenager & loving the idea that a boy can sweep you off your feet, twirl you on the floor & lift you over his head... just to show you he loves you. Did you love the original? Anyone else go the concert or remember the big craze of the "Dirty Dance"? Haha, yea,i remember all this! I had both soundtracks too (on cassette tape though). I had no Idea that girl was married to Richard Marx and I had no idea that dad was lumierre. I kind of thought that abigail was little miss sunshine. I. Glad you cleared that up. Should be fun to see her in a grown up role. When is it on? Oops, sorry. Just saw the air date was on the bottom of the ad. no no no no. you can't remake a classic like this; it's like trying to remake Breakfast club without judd nelson or die hard without bruce willis. i saw the original in the theatre with my aunt and immediately went out and bought the record (vinyl) LOL. girlfriend....watch the original Dirty Dancing RIGHT MEOW!!!! Sometimes, a classic just should NOT be messed with! Nobody else should even attempt to put Baby in a corner!! Ha ha!! I had no idea they were doing a remake! I won't watch it, I cannot see Abigail Breslin as Baby. Nothing again her, but I just cannot picture her as baby. Can't Hollywood get some new ideas? You shouldn't mess with a classic like DD. Ummm as I am reading your post I am getting more and more pissed. How dare they remake this moving. No one touches Dirty Dancing!!!! This is one of my all time favorite movies. I too have the sound track and I refuse to watch the new one. Just no. And I had no clue they redid Beaches either. But I wont be watching that either. Get new ideas!!!! Dirty Dancing is my favorite movie. But I'm going to see it anyway. The early reviews have not been kind. 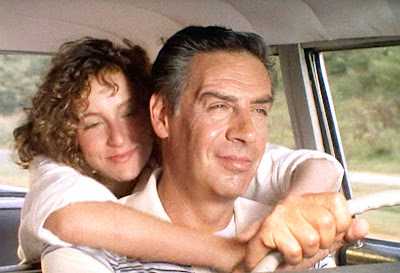 And while I don't mind the occasional reboot or remake, there are some things that should remain sacred and Dirty Dancing is one of them. I have no doubt the actors are fine, but there was a special kismet between Jennifer Gray and Patrick Swayze. Plus, the guy playing Johnny looks so much older than Baby. Like Dad old, which skeeves me out. I guess I just feel like nothing is original in Hollywood anymore. I don't think most movies should be remade, and can only think of a handful I really liked as a remake. Sabrina, The Italian Job, The Parent Trap...those are three that come to mind but mostly-no. I am really conflicted about this. I LOVE the original and have seen it more times than I can count. My mom loved it and so I watched it over and over again. Seriously one of my favorite movies. I don't like Abigail Breslin as Baby at all. She doesn't have the short, sassy hair and she doesn't fit the character. I don't think I can watch this new one. What?! I had no idea...man I wish I had cable...hope that it comes out on Hulu or some other way so I can see it too. I have seen the original so many times I can't count...of course I'll watch...but we'll see. And huh? They remade Beaches...how? What? No one could do Bette like she did...no one. 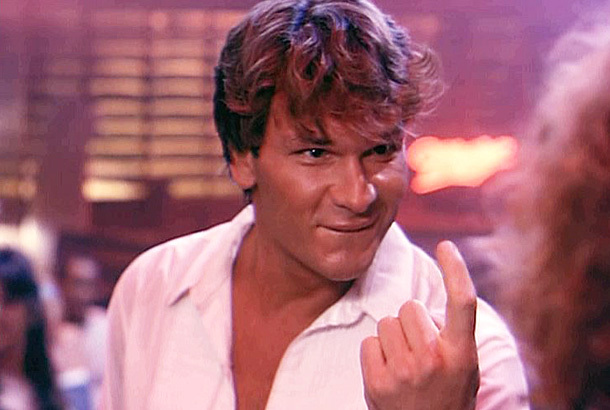 No one compares to Patrick Swayze in my book, but that's just me. 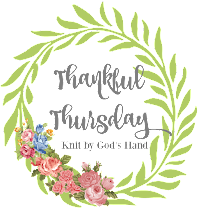 I'm one of those who always prefers the original but I can appreciate re-makes if they're done correctly if that makes sense? Yes, I loved the original and have it on DVD. I've watched it many times. Many times!! Will I watch the remake? I'm usually disappointed so don't get too excited about remakes. One exception that comes to mind is Sabrina. The remake is SO much better than the original. Another favorite. I had no idea they were remaking Dirty Dancing! I'll watch for sure although I'm not sure how I feel about the casting! I had the dvd and the soundtrack but I think I burnt out on it after watching/listening too many times. Likely I won't watch this, but I see where you're coming from: remakes are hard to digest. Also, LOVE Little Miss Sunshine. We love to watch Who Do You Think You Are and Jennifer Grey was on it recently. It was interesting to watch her learn about her ancestors but the whole time I was thinking of the movie!